The East-European Shepherd is moderately long in format, above medium or large in size with strong, but not coarse bone and with well-developed dry, relief muscles. Sexual dimorphism is well expressed; males are larger and heavier than females. Head is proportional to body; massive and wedge-shaped. Forehead is slightly rounded. Stop is pronounced, but is not abrupt. The muzzle is equal in the length to the skull. Lower jaw is well developed. Lips are tight, with good pigmentation. Nose is large, black. Scissors bite; teeth are large, in full complex (none are missing). Eyes are medium, oval, obliquely set, dark, with close-fitting, well-colored eyelids. Ears are medium in size, pricked, high set. Back is strong, wide and long. Loin is short, wide, well-muscled, slightly arched. Croup is wide, long, slightly sloping. Chest is moderately wide. Belly is reasonably tucked up. Tail is scimitar in form, reaching hocks in length or slightly longer. Legs are straight and strong, with good angulations. Feet are oval, compact. Coat is medium in length with well-developed undercoat. Colors: Saddled (background from gray to fawn, good mask on head); the saddle can be very saturated, so the dog can look close to black and tan. Black. Agouti (gray and red) is permitted but not desired. The East-European Shepherd is very loyal to its own people. It is balanced, confident and can be wary of strangers. 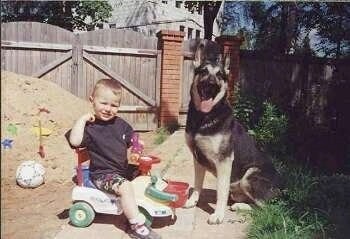 An excellent guard dog, the East-European Shepherd will protect its owners at all costs. This breed is a working dog and will be happiest with some type of job to do. The objective in training this dog is to achieve pack leader status. It is a natural instinct for a dog to have an order in its pack. When we humans live with dogs, we become their pack. The entire pack cooperates under a single leader. Lines are clearly defined and rules are set. Because a dog communicates his displeasure with growling and eventually biting, all other humans MUST be higher up in the order than the dog. The humans must be the ones making the decisions, not the dogs. That is the only way your relationship with your dog can be a complete success. 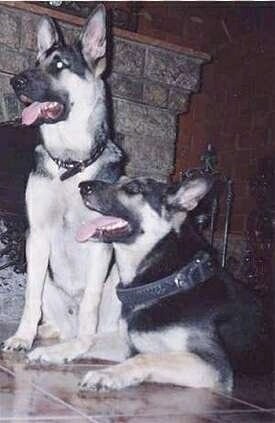 East-European Shepherds will do okay in an apartment if sufficiently exercised. They can easily live outdoors, even in cold climates. The East-European Shepherd is a working breed and needs to be exercised properly. They need to be taken on daily, brisk, long walks or jogs, where the dog is made to heel beside or behind the human holding the lead, as instinct tells a dog the leader leads the way, and that leader needs to be the human. Because they want to work, run them through a regular drill at least twice per week. They make great jogging companions. 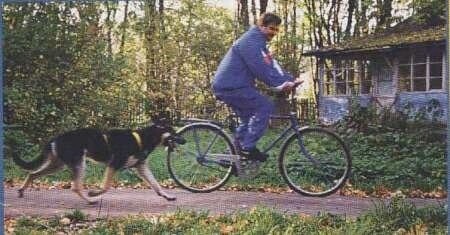 Let your dog run beside a bicycle, or take it into the woods or open countryside where it can run to its heart’s content. Brush regularly with a firm bristle brush and bathe only if it is absolutely necessary, as bathing removes the waterproofing of the coat. This breed is a light constant shedder, but sheds heavily twice a year. 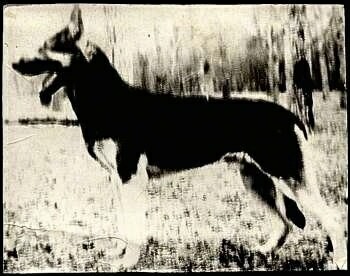 This breed was created in 1930 as a working dog adapted for service in the Army and a national economy in various climatic conditions. The East-European Shepherd was created from German Shepherds that were mixed with local northern breeds, molossers and some other breeds. 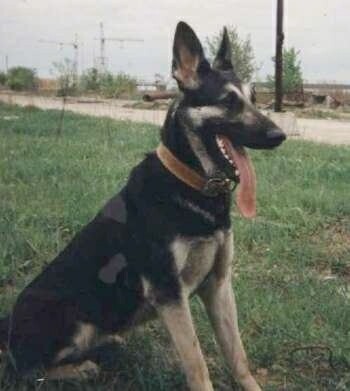 The first standard that has formed the breed type of East-European Shepherd was approved in 1964 by the Cynologic Council of the Ministry of Agriculture of the USSR.